Arbeitskreis Deutsche England-Forschung: Drifting towards the Exit? 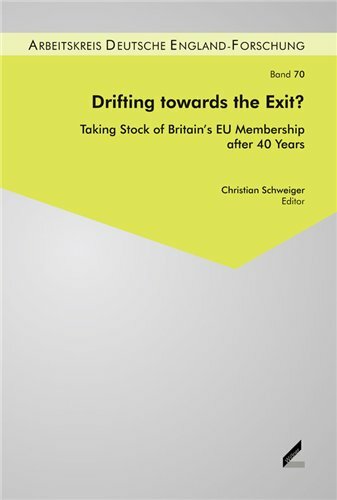 The contributions in this volume examine the various aspects of Britain‘s four decades of often troublesome European Union membership. The individual chapters cover a wide array of issues regarding Britain‘s relations with its European partners in the context of institutionalised economic and political integration and under the currently uncertain conditions of an impending „in-out“ public referendum on EU membership by 2016/17. The volume concentrates on analysing the historical context of Britain‘s late accession to the European Community, bilateral relations with key partners under the conditions of increasingly differentiated integration in the EU, the impact of the membership on Britain‘s national sovereignty, economy, as well as its defence and security policy.